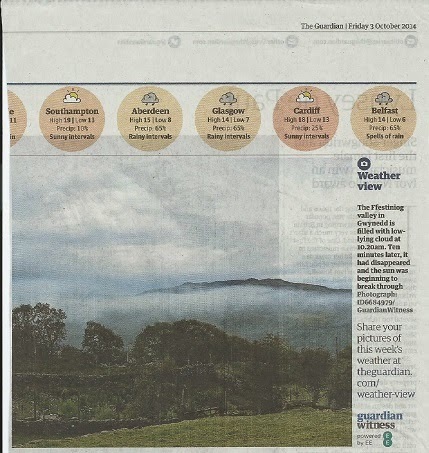 Page 47 of today's Guardian and it's the vegetable garden at Campbell's Cottage. What a surprise. I think this must have been taken by Lewis, our recent visitor. I remember seeing him standing on the lawn. Yes Huw- it was my photo. And what a beautiful location to photograph!